I read the advanced buzz on Sarah McCoy's second novel a few months ago and couldn’t wait to get my hands on it (look at that cover!). Then, not only did I finish the book in record time and grab the chance to send some Q&A to Sarah, but I also trekked to the wonderful Dallas Indie bookstore, A Real Bookstore in Fairview, Texas, to meet the lovely Sarah in person. By the time we met face-to-face, we’d been emailing back and forth like old chums, sharing Valentine’s Day stories and east-coast roots. It’s my lucky pleasure to introduce Sarah to our readers. 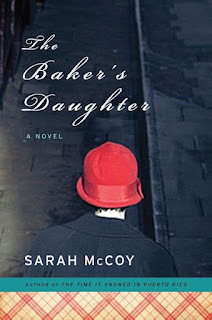 SARAH McCOY is the author of the novels The Baker's Daughter and The Time It Snowed In Puerto Rico. The Baker's Daughter released in 2012 and was praised as a “beautiful heart-breaking gem of a novel” by Tatiana de Rosnay and a “thoughtful reading experience indeed” by Chris Bohjalian. The Baker’s Daughter is a Doubleday/Literary Guild Book Club selection. 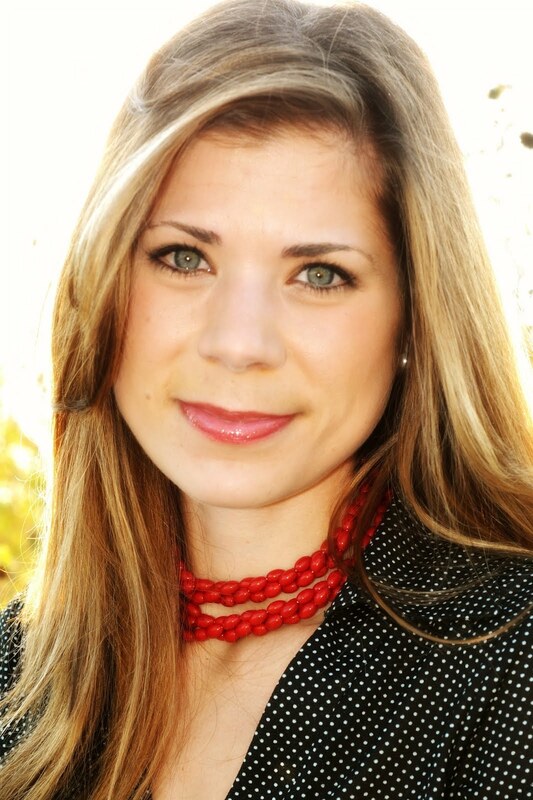 Sarah has taught writing at Old Dominion University and at the University of Texas at El Paso. The daughter of an army officer, her family was stationed in Germany during her childhood. She currently lives with her husband and dog, Gilbert, in El Paso, Texas, where she is working on her next novel. J: You wrote in a recent interview on the Bermuda Onion blog about your love of research and sequestering yourself in large university libraries. I also draw from the past when writing and get lost while doing so. Also like myself, you have written that you are a Type-A perfectionist. How do you cut yourself off and know when you’ve researched enough to start writing? Sarah: Such a pleasure to meet a fellow perfectionist! We should form a Type-A tribe that meets around bonfires to burn imperfect pages and dull-tipped pencils. I actually didn’t have too much trouble when it came to reining in the research. Being the organization freak that I am, I outlined the story in my journal first so I had a road map for what elements I needed to inform the characters’ perspectives in specific chapters/scenes. Then I went searching for those historical nuggets. Of course, while pulling up related documents and interviews, I ran into information that blew the lid off my preconceived notions of present-day El Paso and WWII Germany. Like the material on the Lebensborn Program. To make the characters as authentic as possible, the known and unknown facts had to be included in their story. In a way, I, as the author/reader, was on a kind of fictional archeological dig to uncover understanding. Who were these German people beyond the stereotypical image we know? Similarly, who are we, Mexicans and Americans, today? Writing this novel was as much about the examination of history as it was the examination of community—myself included therein. So I guess that’s my roundabout way of saying I didn’t start with the research, as much as I enjoy it. I started with the characters. J: And such lively characters they are! Part of the charm of The Baker’s Daughter is meeting the secondary characters. Jane and Riki, of course, but to me, the elder Elsie felt a different character altogether and I enjoyed fitting the pieces together to figure out how she got to that place. She is complex, wanting so much to be a good daughter, yet wanting her independence even more. How did she grow and change as you wrote her? Sarah: Again, I must defer to my creative process. I outlined the “young” Elsie’s story first, so I knew what I was working with in the “old” Elsie. The idea sparked when I met a warm but feisty 80-year-old German entrepreneur selling bread at a bazaar in El Paso. I asked her how she came to be so far from Germany. She said she moved to Fort Bliss with her husband, an American soldier she met at the end of WWII. That ignited a flame in my imagination that wouldn’t die. I began to dream bigger and bigger until I felt I knew that Germany woman intimately. I could hear her voice, young and old, in my mind. So while the novel opens with Elsie in her 80s, I’d sketched out her narrative arc from young to old then wrote the chapters old to young. She became rounder and more substantial as I wrote my way through the book, but I always knew she struggled with what outside forces told her to do and what her heart told her was right. I believe that feeling is shared by woman and men today. J: The mirror of the border patrol storyline in El Paso and the Garmisch Gestapo is a strong and ironic comparison, yet you don’t hit readers over the head with it. What surprised you most about the similarities? Sarah: I didn’t start the book intending to make any comparison. I don’t have any political agenda or side. Independent. I wholeheartedly embrace that word/term/description. So I was simply writing a story about a German woman in El Paso. At the time I was freelance writing for a local Arts and Entertainment magazine while teaching a Research & Writing course at the University of Texas at El Paso. So Reba, Riki, Jane, Sergio, and all the present-day characters were born out of working with fellow journalists, interviewees around the city, and my students. You can’t live in El Paso or have a novel set in El Paso without discussing the Customs and Border Protection. It’s as everyday here as sand on the windowsill. J: Nice analogy! Now there's another character who stole my heart: the singing Tobias. Elsie hides Tobias in a clever and shocking place. How did that scene come to you and did you receive flack from readers for it? Sarah: I haven’t received any flack. In fact, Robin Kall, who hosts the Reading with Robin radio show, emailed me in the middle of reading The Baker’s Daughter to tell me that her grandfather had been hidden in a similar place when the Nazis invaded Poland. Of course, I wrote the novel never knowing about Robin’s grandfather. The fact that Tobias’s story reflected his… well, I got chills. Kismet at work. Robin loved the novel, and I’ll be on her show in March. I hope What Women Write readers tune in! J: Looking forward to it! I peeked at your book tour schedule, a combination of virtual and in-person appearances. You blog, you Twitter, you're on FaceBook. How does the all-inclusive marketing landscape challenge you the most? When do you find time to research and write your next novel? Or do you? Sarah: Good question! It is all-inclusive. Being an author these days takes every ounce of energy you’ve got. For marketing, you’ve got to do the online, the in-person, and the behind the scenes. Lord almighty, I’ve never wanted science to invent cloning so much. Either cloning or the ability to stop time: I’ll take either. I started writing my next novel this past fall so I’ve had a few months to get started. Like all my work, however, the story has been marinating in my journal for over a year. I’ve outlined it different ways, so we shall see which “choose your own adventure” the characters decide to take. J: Can you tell us about it? Sarah: The novel I’m currently working on examines parenthood. I’m captivated by the idea of nurturing—what it means to mother and father outside the conventions of physical paternity. Inspiration for this novel came from my own life and from walking closely beside close friends as they struggled with parenthood/fertility issues. It’s a contemporary story, set in a quirky place I hold most dear, and told from the perspectives of a husband and wife in a fractured marriage. My couple is confronted with monumental decisions regarding betrayal and forgiveness, life and death, which ultimately shape their future. J: What a fascinating topic. Looking forward to that one! We love movies here, so I have to ask, are there plans to make a movie version of The Baker’s Daughter and who would your dream cast be? Sarah: Mercy, girlfriend, I do love movies too! Nothing better than a Saturday night in fuzzy pjs tucked up on the couch with my husband, my pup, the smell of fresh popcorn, and a good movie! I can’t even begin to come up with a dream cast. I’m enamored by so many actors: Anne Hathaway, Meryl Streep, Emma Stone, Rachel McAdams, Leonardo DiCaprio, Ed Norton, Eddie Redmayne, Joseph Gordon-Levitt, Ryan Gosling… good heavens, I need to stop. J: Eddie Redmayne is wonderful—I loved him in the miniseries version of Pillars of the Earth and was delightfully surprised to see him in My Week with Marilyn! Ooh, and don’t get us started on Ryan Gosling. I’m looking forward to trying some of Elsie’s German recipes in the epilogue. Do you have a favorite? Sarah: I so hope you give them a try! They’re stamped with my husband’s “Schmeckt gut!” approval. I couldn’t pick a favorite. They each have their own unique spice and flavor, their own beauty and promise of satisfaction. It all depends on what you, the reader and baker, are craving and what fills your hunger. Thanks so much for having me over to What Women Write and for asking such great questions, Joan. I hope all of your readers enjoy The Baker’s Daughter! J: Now, anyone up for a giveaway? There's a hardback on my desk, waiting for a hungry reader. Leave your email address by March 4th and we'll draw a lucky winner. to reading your new book. Thanks Cindy! Sarah was a joy to interview--and meet. Let us know how you like the book! Such a fun interview. I'm sad I missed the trek to A Real Bookstore. I'll put the book on my must-read list now. The books sounds fascinating! Hope to win the copy.... alisonfrenzel (a)t)gmail (do)t)com. What a great interview and I can't wait to read The Baker's Daughter! Thanks, Joan! Thanks for this great interview! I love hearing about where a story comes from. Can't wait to read it! 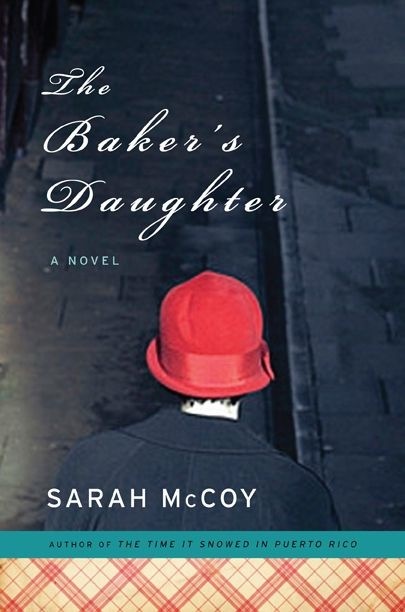 Laura wins the lovely Sarah McCoy's Baker's Daughter! I will email you to coordinate. Thanks for your comments.